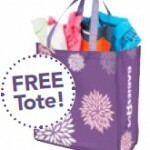 Babies ‘R Us: Save 40% off all clearance clothing and get a free reusable tote! You are here: Home / Babies ‘R Us: Save 40% off all clearance clothing and get a free reusable tote! 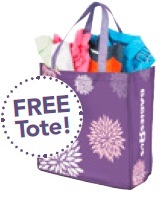 Babies’ R Us has a HOT new printable coupon that gives you a free reusable tote plus 40% off all the clothing and shoes you can fit in the tote! This is a great time to stock up on fall and winter clothing for next year as well as shoes for your kids! 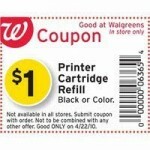 You can print the coupon here and it is valid through 1/23/2011! Limit one coupon per guest. Bring your coupon to guest services to receive your free tote. Quantities limited. No rainchecks. Babies ‘R Us deals: 70% off clothing plus Buy 2, Get 1 free baby care! 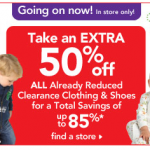 Babies ‘R Us Clearance + Bonus Deals! Babies ‘R Us Great Trade-In event: Bring in your old baby gear, get 25% off new stuff! 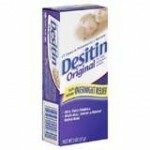 Babies ‘R Us: Time to stock up on baby care products!